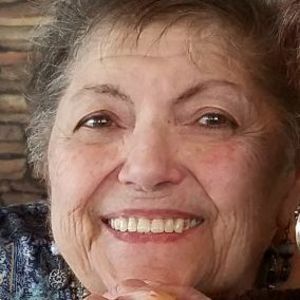 Claire C. (nee Pellecchia), age 88, of Secane, on June 12, 2018. Beloved wife of the late Ralph J. Geslao, Sr. and survived by her loving children; Paul (Ilene), Rita Marie Roberts (Paul), Ralph J., Jr.(Carol), Theresa Cantwell (William), Elaine Locke (Richard) and Rosemarie Bacon (Cooper); 8 adoring grandchildren, 1 cherished great-grandchild and her devoted sister, Lillian DeLuca. She was predeceased by her sisters, Rita Wagman, Marie Pellecchia and Jeanne Knoublauch. Relatives and friends are invited to her Viewing on Monday, June 18th, 9:30-10:45 AM at St. Eugene Church, 200 S Oak Ave, Primos, PA 19018. Funeral Mass to follow at 11 AM. Interment Ss. Peter and Paul Cemetery. In lieu of flowers, contributions in her memory to St. Jude's Children's Research Hospital, 501 St. Jude Lane, Memphis, TN 38105 or Lankenau Medical Center Foundation, Cardiology Fund, 100 E. Lancaster Ave., Wynnewood, PA 19096 would be appreciated. Add your thoughts, prayers or a condolence to Claire's guestbook.